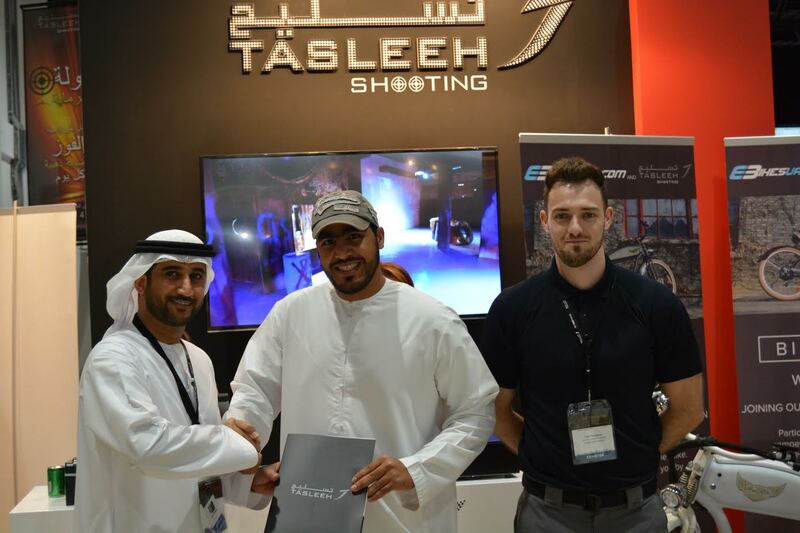 Abu Dhabi, UAE: Tasleeh Entertainment made waves at the International Hunting & Equestrian Exhibition by showcasing the best of what the firearms trade and the shooting entertainment facility has to offer. It can be observed that a growing number of shooting enthusiasts queued for their turn to set a new record at the air soft battle zone. Regarding the outstandingly positive response recorded by visitors, the founder and CEO of Tasleeh Entertainment, Salem Al Matroushi said, “The entertainment section created immense buzz at the exhibition. It gave me great pleasure to see that the competitions drew in a large audience as people collected around our stall to witness shooters fighting each other for the better score”. “Our aim was to create brand awareness and promote our products. It is crucial to educate people of the services available at Tasleeh Group. Most of our visitors learned that we have the world’s first softair battle gaming zone at our outlets in Yas Mall and WTC. The Tasleeh team is thankful that the objective was carried out efficiently,” added Mr. Al Matroushi. The staff diligently imparted safety instructions to visitors, briefing them on the appropriate way to handle firearms. “Safety is not a conversation that is frequently spoken about but is crucial in this market. The benefit of the safety training at Tasleeh is that you can apply what you learn here in a real shooting range,” stated Gilbert Dougherty, Store Manager of Tasleeh Entertainment. At the exhibition, the team launched the student membership which will be available in the near future. As part of the same promotional initiative, guests can visit Tasleeh Entertainment counters at Yas Mall and WTC for a 20% discount voucher that can be redeemed at Tasleeh outlets across Abu Dhabi. “We have lots of fun stuff coming up for the season. In addition, Tasleeh has started preparations for our participation at IDEX 2017,” concluded Mr. Al Matroushi.